- Use take profit level equals or 2 times of stoploss level. In the picture belowTrading with Slope indicator in action. 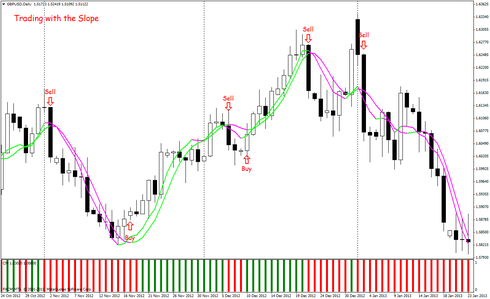 Trading With Slope indicator:Indicators and Template.